Every November I get an email from an old buddy looking for sponsorship in his quest to raise awareness of men’s health issues, such as depression in men, prostate cancer and other male cancers, and the charities associated with those issues. He is a Mo-Bro! Do you know some Mo-Bros? 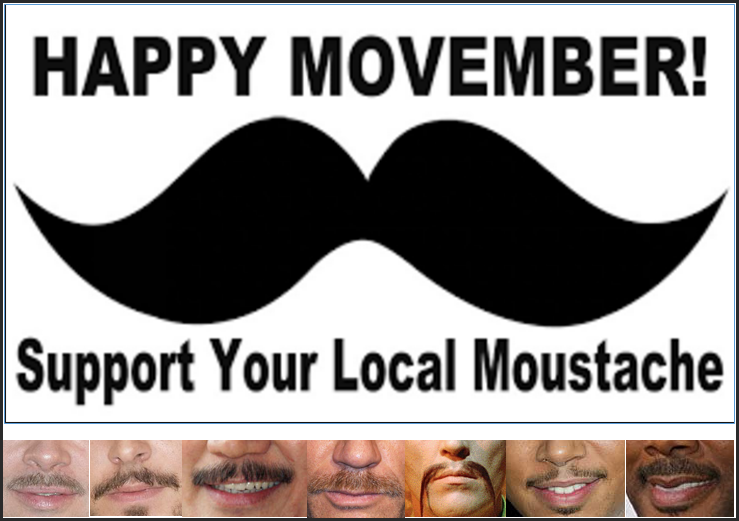 Heard of Movember before? I’m not surprised if your answers are No.